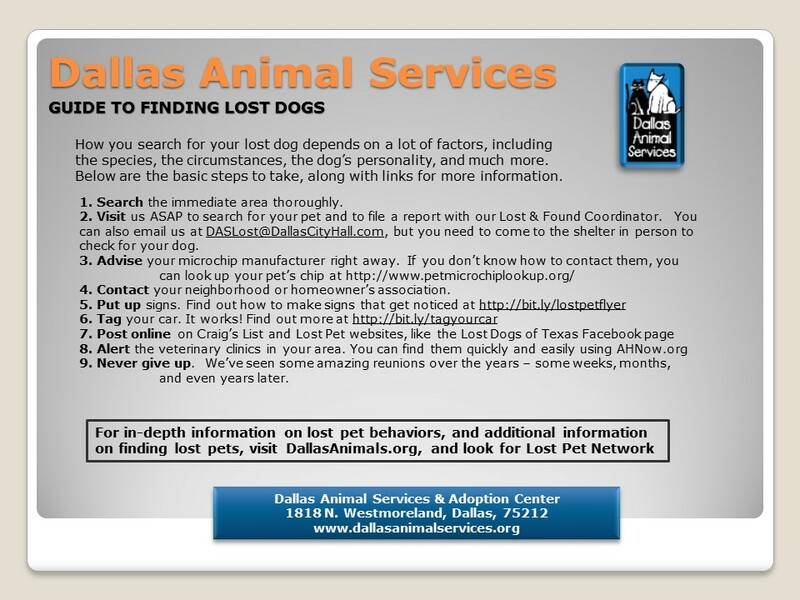 The largest municipal animal shelter in North Texas, Dallas Animal Services takes in 25,000+ animals every year – on average 75 each day – and many of them lost pets. 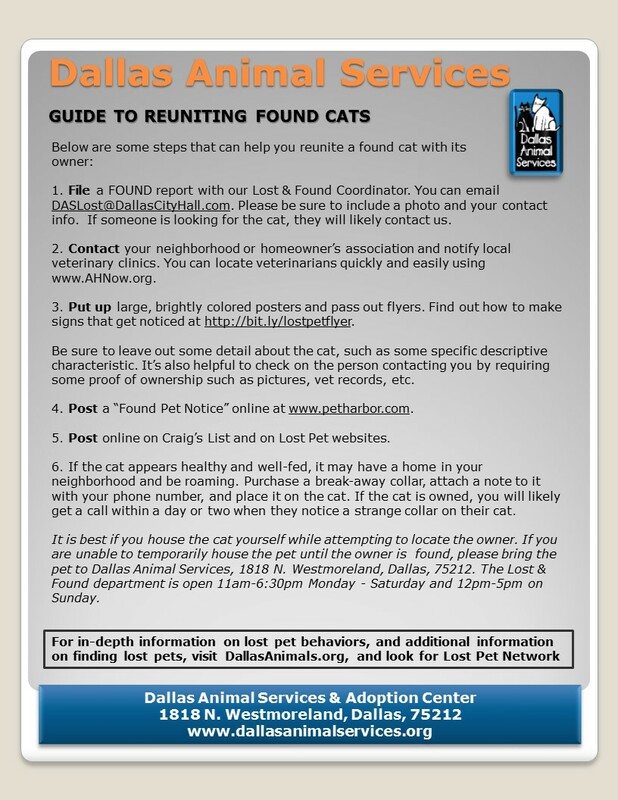 That’s why it is so important that anyone who loses, or finds, a pet in North Texas notify Dallas Animal Services right away. 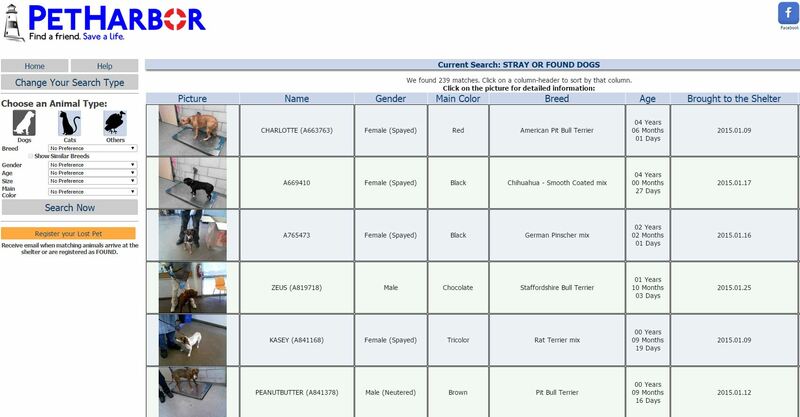 If you’ve lost your pet, we always recommend that you visit the shelter in person at least every other day. 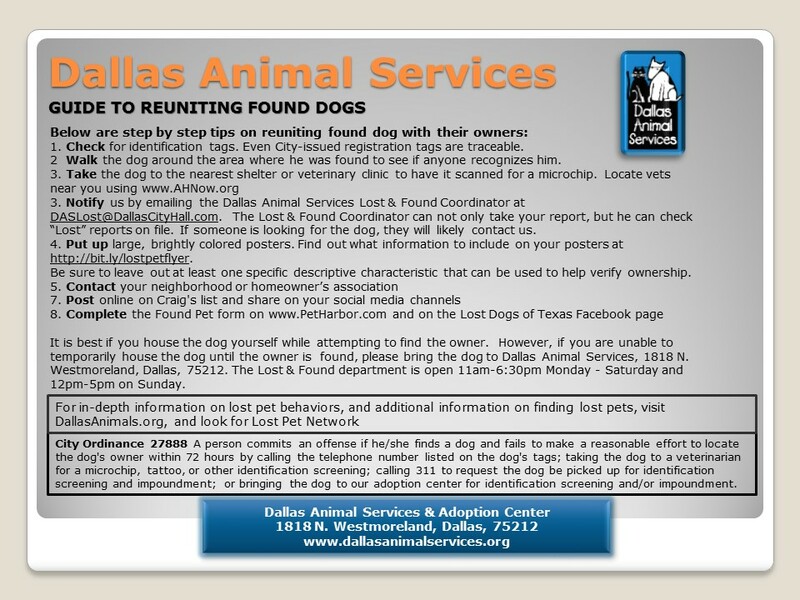 -Lost pets that come to Dallas Animal Services with no ID are held a minimum of 72 hours. 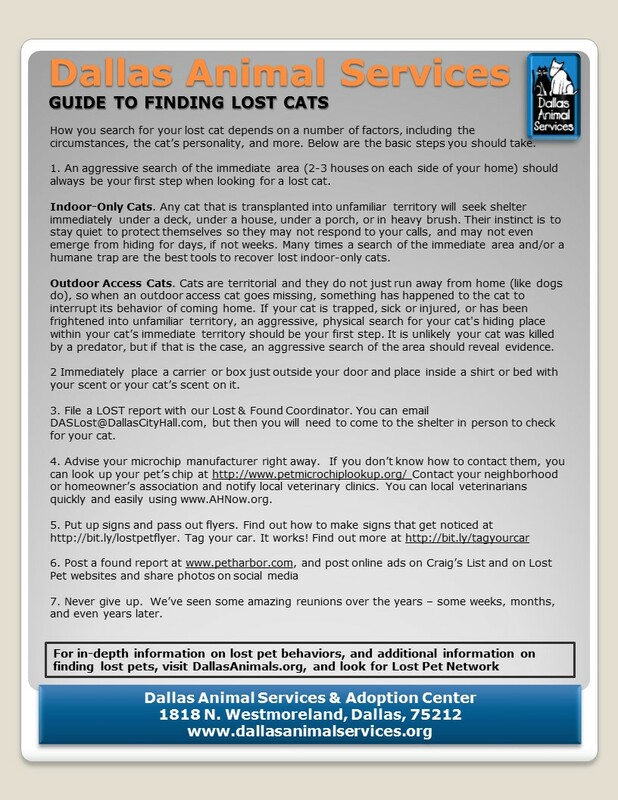 Even if your pet had a collar and tags, when it went missing, they may have come off at some point. We’ve also seen instances of microchips migrating, microchips that were never registered, and microchips with outdated information. -You know your pet best. 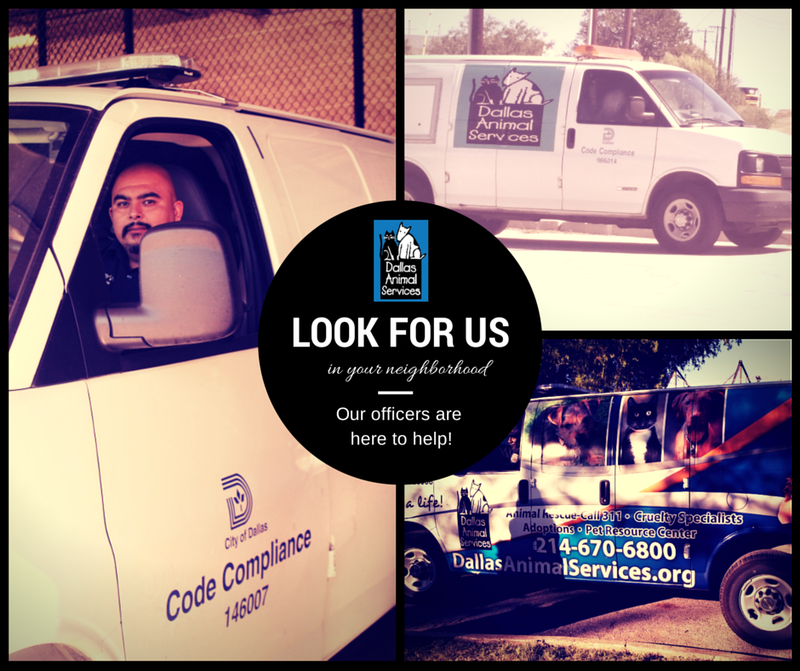 With the volume of animals coming into Dallas Animal Services, there are bound to be many that fit the description of your pet. With just one full time Lost & Found Coordinator for 25,000 pets a year, you can see why it’s important to visit in person. 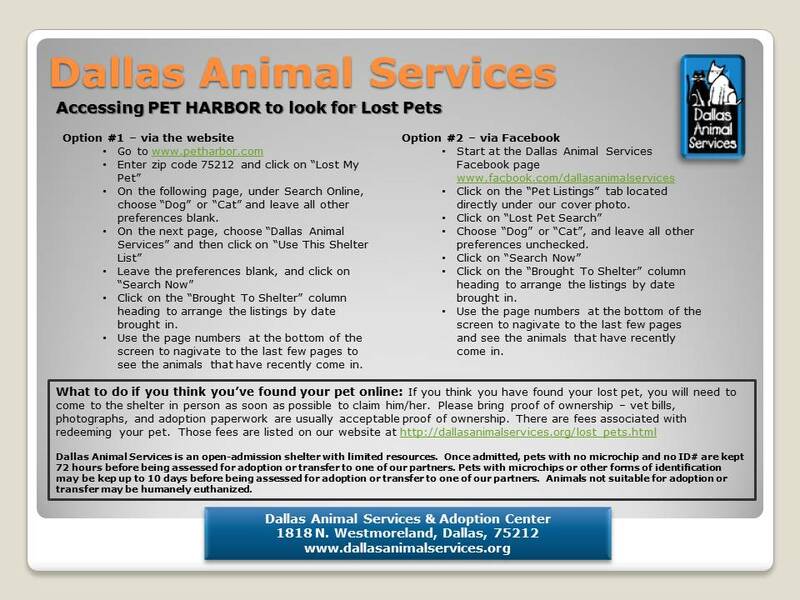 If you are unable to visit in person, the next best thing is to check the Dallas Animal Services Lost Pet Listings on PetHarbor.com. 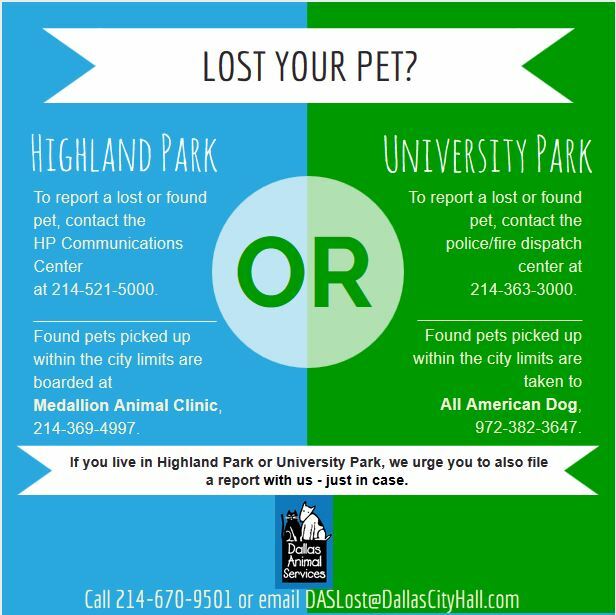 Please note that if you live in or near Highland Park or University Park, an have lost or found a pet, you will also need to contact those agencies.